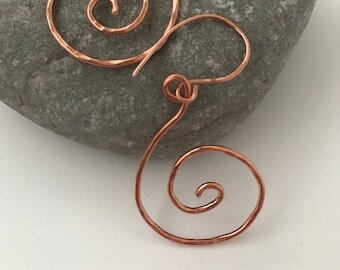 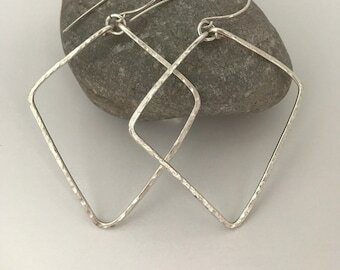 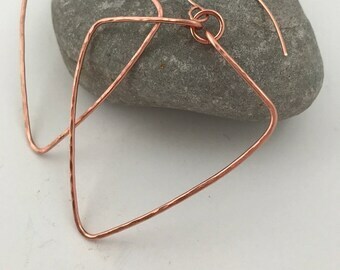 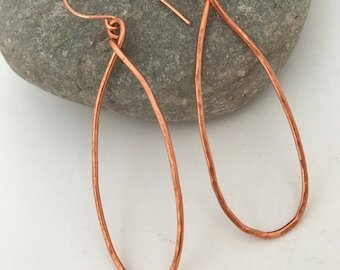 I hand shaped these swirl earrings from 16 gauge sterling silver filled wire, then lightly hammered & tumbled them for strength and extra shine. 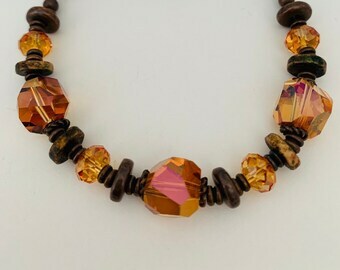 I added these cool Mykonos silver dipped ceramic beads that move freely along the wire for extra sparkle and flash. 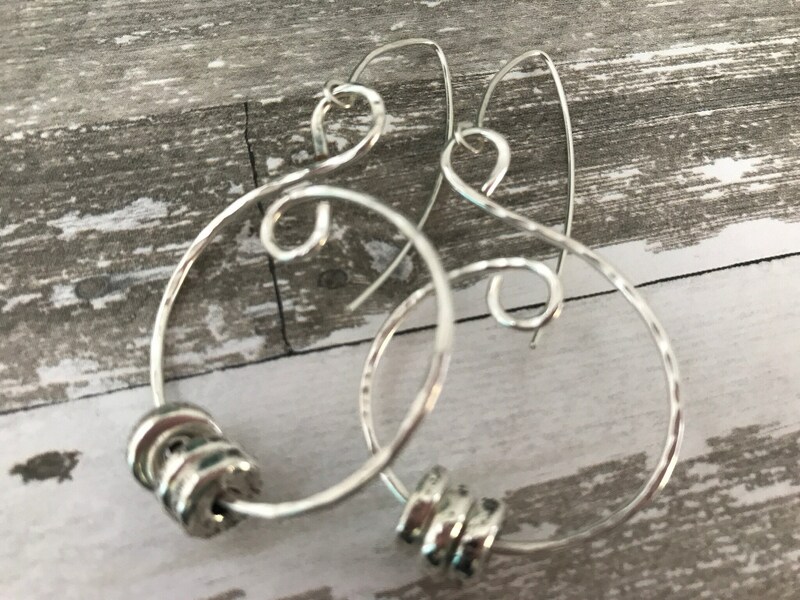 The handmade wires are 20 gauge sterling silver. 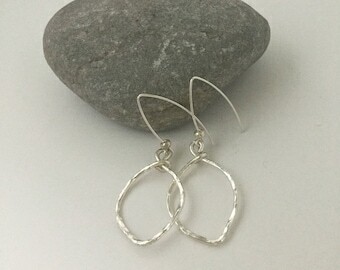 They measure about 1.75” by 1.25” not counting the ear wire drop of about .75” and are a great size for everyday wear.